11 74370-2129 - Saddle Bag. 75200-9019 - Literature Bag N/a. 75200-9279 - Hardware Bag N/a. 20 74370-2389 - Fork Cover/clamp. 18 75200-9219 - Frame (incl. L & R Sides) N/a . 21 74370-9029 - Handlebar Set (banded). 75200-0310 - Decal Sheet N/a. 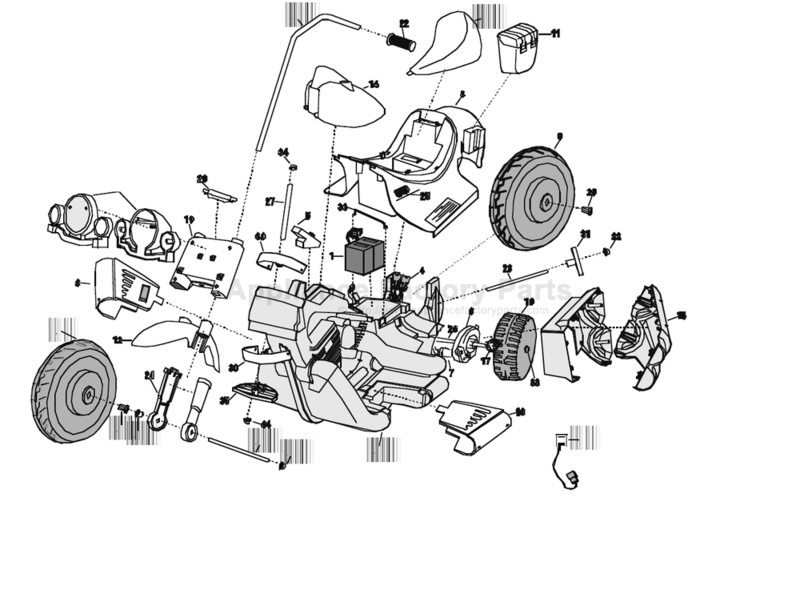 75200-0920 - Ownerï¿½s Manual N/a. 24 74370-9329 - Shock Set (banded). 31 74370-2379 - 31 Bushing (axle/silver). 35 74370-2369 - Steering Stop . 8 75200-2109 - Body Black (n/a). 75201-2109 - Body Blue (n/a). 75202-2109 - Body Purple (n/a). 75203-2109 - Body White (n/a). 75201-213A - Front Fender Blue N/a. 75202-213A - Front Fender Purple N/a. 75203-213A - Front Fender White. 14 75200-214A - Gas Tank Black N/a. 75201-214A - Gas Tank Blue N/a. 75202-214A - Gas Tank Purple N/a. 75203-214A - Gas Tank White. 75202-2349 - Fork Purple (upper N/a). 75203-2349 - Fork White (upper) N/a. 75200-9159 - Small Parts Bag N/a. 75200-9249 - Large Parts Bag Black N/a. 75201-9249 - Large Parts Bag Blue N/a. 75202-9249 - Large Parts Bag Purple N/a. 75203-9249 - Large Parts Bag White N/a.